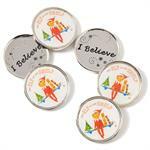 This adorable piece measures 10 by 4.5 by 3.75 inches and plays the Elf on the Shelf tune. The popular mini Elf on the Shelf figurine, with an updated facial expression for 2015. Includes red velvet storage bag. Measures 2 1/2" tall. 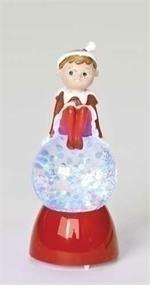 This adorable little glitterglobe (snow globe) has a female elf perched on top. Flip the on/off switch at the base to see it light up with six rotating colors. 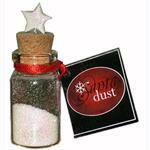 Santa Dust in Bottle, Start a new family tradition with your family! Santa Claus is coming to town and he knows if you have been bad or good. And if you have been bad, you will get this lump of coal in your stocking...so be good for goodness sake! Bring the Christmas magic home to your family this year! The original Elf on the Shelf® set includes a magical scout elf from the North Pole and a beautiful children’s story book, all in a keepsake gift box.